By definition, a Machinist is a skilled person who can manufacture components from technical drawings using precision measuring tools and a variety of machining tools. 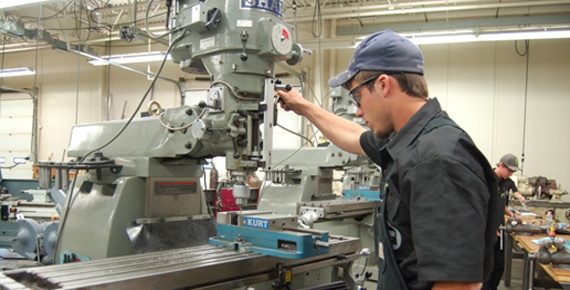 All aspects of society today depend on Machinists working in machine shops. All transportation is dependent on skilled Machinists. Consumer goods require Machinists to create plastic injection moulds and to build machines to manufacture consumer goods. When a part on something breaks or wears out a Machinist can build another. The Machining Technology course is a manufacturing environment where students create a wide variety of parts usually from metal. You learn to use different machine and hand tools to shape metals into precision working parts while having fun! Students machine different projects for each course which they take home at the end of the course.